Classify breast cancer from 9 features. 96% accuracy at 100% recall first pass with no optimization. Using 623 training rows. Predict death or survival of Titanic passengers. The STRM3 data is available for most of the world while the SRTM1 data is available for most of the USA. 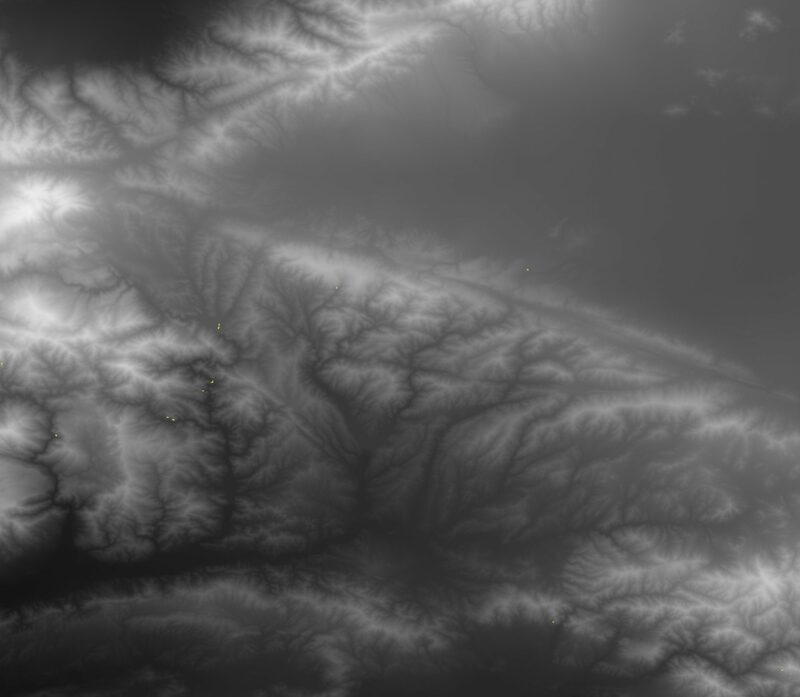 The SRTM1 data provides finer resolution than the SRTM3. 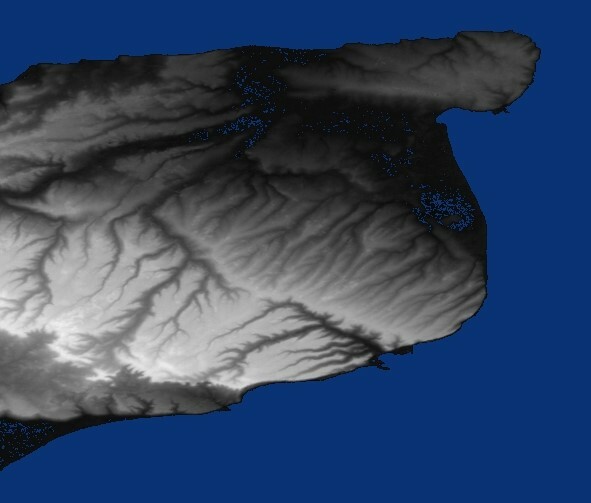 The basic quick start and topography docs are OK but working code is always easier to use. Scala fetch string from URI and save results in file. Scala example of fetching a string from remote URI, saving results in local file using command line parameters. Scala Example to parse almost ISO Date time string, convert to proper time zone and regenerate as ISO standard string. Access 20 Gig or more from LuaJIT while coding in native Lua and minimizing GC speed penalties. I started using LuaJIT© after first using F#, Python, Julia and C for stock and Forex related predictive work. I am always on the lookout for a language that is high speed as close as I can get to C without having to write in low level C all the time. Lua is a language that feels somewhat like a cross between BASIC and Ruby and has been around for a long time. Lua may embedded or used stand-alone. It has been embedded into many games, entertainment consoles and other devices as a scripting language. The LuaJIT is a new compiler technology and takes what was already fast as an interpreted language and in some of our tests made it run over 20X faster with a few tests reaching 80X faster. I started testing Julia as a possible alternative because Julia advocates claimed the interpreter loop was nearly as fast a C and it was similar in concept to Python which I love but which was too slow for our application. I recently ran across a blog entry mentioning a new Lua Jit. I found it intriguing because Lua did quite well during our last round of tests. Did not implement slice in Lua so re-used the timing from nested loop version. Response times are in seconds. The only function where Julia out performed Lua Jit was in the SMA(14) all other items tested were slower. I think the reason it did better in this instance is that the SMA function must allocate a new array with 71K rows to store the results. In Julia you can do this as a typed Array of float. In Lua this is done as an append to list so it is allocating memory in little pieces. In the SMA(600) the Lua jit was faster again because it is doing more work compute in a tight loop relative to the memory allocation overhead. We have an article in Inside Market Data. Bainbridge Island WA-based startup Bayes Analytic is preparing to launch a new stock analysis and trading recommendation engine that leverages advanced trading algorithms and machine learning to predict future price movements based on past trading patterns.